In order to pack lightly it's essential to pack smart. That means only packing items that you really need, and that will enhance your travel experience. I haven't always done this. But after sweating, nearly breaking my back, and falling down some stairs struggling with a huge bag, full of crap, I've learned my lesson. So now, everything that makes it into my bag must serve a purpose. And these are 5 things I never want to travel without. I always pack my Crocs. And here's why: Although I think they can look a bit dorky, I love these shoes. They're so practical since I can use them in the shower as well as a rainstorm. Although most people travel with waterproof flipflops, those aren't too helpful in a monsoon or a deep puddle since they can easily slide off. No need to worry about that with these shoes. They fit snugly and stay-put. Traveling around India and Nepal really made me more conscious about trash, and wanting to minimize the amount I'm throwing out on. I love traveling with my own utensils. 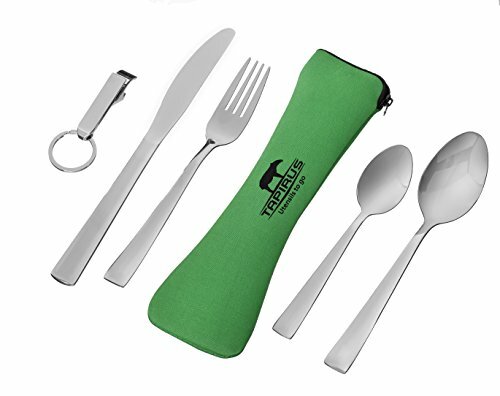 Usually I actually just bring a spoon and a fabric napkin which is all I need. It really comes in handy when I'm on the go. I'm not a fan of plastic bottles. I usually feel like I can taste it in the water. I absolutely loved using this glass bottle. At least, I did until I broke the cap. I actually dropped the bottle from the top bunk of a bed in a hostel in India. And the bottle didn't even break. The glass was fully intact. The cap...that's another story. It cracked, and a piece broke off, making it unusable. I was so sad. The bottle actually comes with multiple lids but I only brought 1 on the trip (Of course I was trying to pack lightly, and the bottle itself is already heavy since it's glass). I love this backpack. That's because it has wheels & a detachable day-pack. After breaking my back with traditional backpacks, I was desperate for something different. And since I got the bag nearly 6 months ago, I've only used it as a backpack once, but I like having the option. And I carry the daypack nearly everywhere I go since it has a pouch for my laptop. I really wish I had one of these. 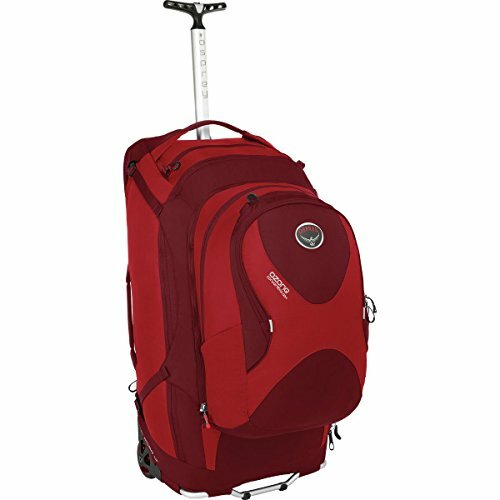 This is one that I've seen other travelers using, and I've been jealous.